Acne is a common skin condition most commonly associated with teenagers and young adults of both sexes. However, at Cheshire Aesthetic Clinic our experience is that older age groups are increasingly affected too by the typical acne traits of congested skin, blocked pores and skin blemishes too. 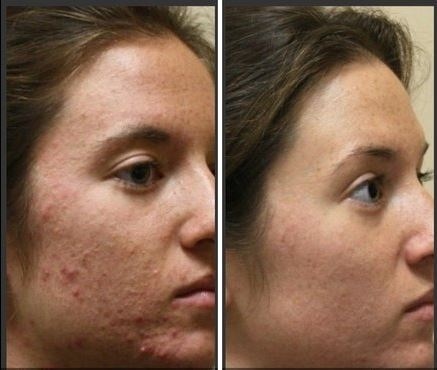 At Cheshire Aesthetic Clinic, acne can be effectively and quickly treated with Intense Pulse Light (IPL) without risk in just a few easy treatments. If you are troubled with acne scars we can help too. DermaPen™ treatments enable the skin to naturally rejuvenate. The benefits can be life changing if you are suffering from prominent acne scarring. Chemical Peels with Salicylic Azelilac are very effective also. Salicylic is a BHA (Beta Hydroxy Acid) with astringent and keratolytic properties. Moreover, it has antibacterial and anti- inflammatory properties that regulate sebum secretion and reduce the oiliness of oily/acne prone skins. Azeliac acid is a dicarboxylic acid that is derived from cereals and has a significant effect against acne. More specifically, it has comedolytic, anti inflammatory and anti-microbial action effects (it neutralises Propionibacterium acnes of the pilosebaceous follicle) that help fight acne and pigmentation thereby reducing discolouration and in particular brown spots due to acne. How does IPL treatment work on acne? What happens during an IPL acne treatment? Having had a one-to-one consultation to assess your specific needs and tailor a course of treatments for you, your Cheshire Aesthetic Clinic skincare specialist will apply a layer of chilled gel to the skin to help guide the short pulse of light to the target area. The laser applicator is then passed over the skin several times until the whole area is treated. Immediately post treatment, skin may appear red and a warm tingling sensation may be felt. Your Cheshire Aesthetic Clinic specialist will cool the skin with a calming gel. The number of treatments necessary varies from person to person, but most Cheshire Aesthetic Clinic clients find that up to 6 IPL treatments will result in a significant improvement in their condition.